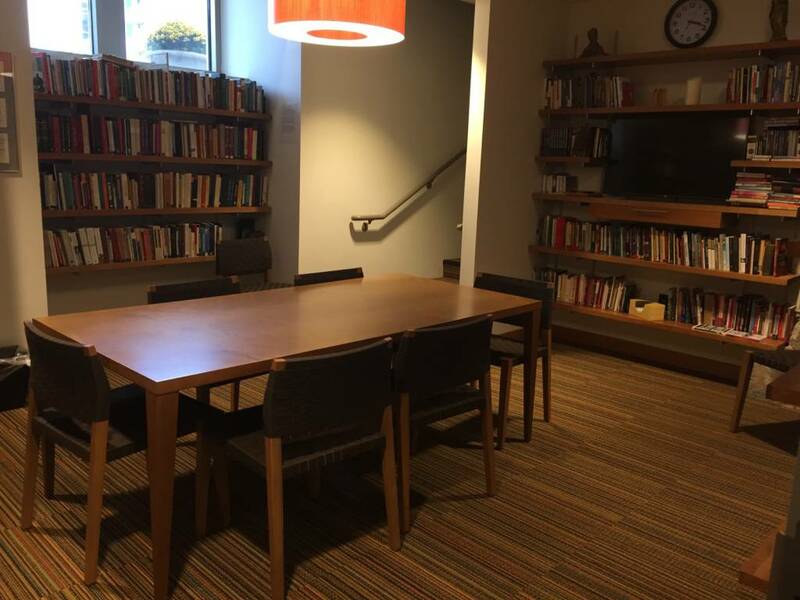 The parish library is accessible during regular office hours and is located to the left of the main office. It is open Sundays too. In the parish library, the four shelves below the window visible from outside are dedicated to Jesuit books. The first and fourth shelves are Jesuit authors arranged alphabetically. The second and third shelves are about Jesuit history and spirituality. There are three other shelf areas on the north, east, and south walls of the parish library with many other religious books available. The St. X EXpressions Book Club meets every six to eight weeks on Tuesdays at 3:30 PM in the Parish Center. Our most recent book discussed was Tattoos of the Heart by Greg Boyle, S.J., about his remarkable work over many years in the Los Angeles area with Hispanic gangs. He is instrumental through God’s Spirit in inspiring your people to make changes in their lives through locating employment in Homeboy Industries that he and community members founded. His story is inspiring to all of us to use God’s inspiration where we are to share God’s love. Our new selection to be discussed on Tuesday, December 13 at 3:30 PM is Love Wins by Rob Bell. There are public library copies available for any books we choose. Some books we plan to discuss next year include Defending Jacob by William Landay, Seven Last Words by James Martin, SJ, Out of Habit by Sr. Rose Ann Fleming, The Gift of Peace by Joseph Cardinal Bernardin, Inside the O’Briens by Lisa Genova, and Dinner with a Perfect Stranger by David Gregory. You are always welcome to join us for book discussions. Please check the parish bulletin for accurate times of upcoming meetings.